You are here: Home / Reviews / Comic Book TV / Gotham Episode 4: Arkham Review! This week on Gotham: Gordon’s secret creates a problem in his relationship with Barbara. Meanwhile, Cobblepot makes a play and climbs up the ranks of Maroni’s gang. Finally, councilmen are assassinated left and right, the only link…Arkham Asylum. “Arkham” was an improvement from last week’s episode “Balloonman“, but only slightly. While this episode did have a greater sense of drama and plot development, it still lacked the excitement of the pilot or “Selina Kyle“. So, without further ado, let’s see what “Gotham” gives us this week. The main plot itself was actually done very well. Maroni and Falcone are each bidding for the contract to develop Gotham’s newly created “Arkham” sector, which includes the abandoned asylum. This significant piece of land could determine a shift of power between these two bosses as well as start an all out gang war. Hence, both sides use a plethora of tactics (assassination, police corruption, bribery) in order to reach their goals. 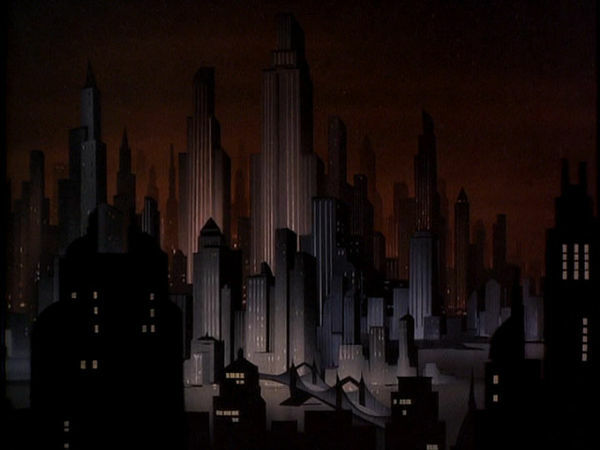 Thus, the episode captures the essence of Gotham. The city is not merely a backdrop for these characters, it is in itself a character: it’s political, treacherous, corrupt, dangerous, but it’s worth being saved. The show runners have clearly demonstrated that they understand Gotham, both physically and emotionally. Two-Face, Killer Croc, The Joker, Scarecrow…what do they all have in common? Well besides being crazy they all have permanent cells in Arkham Asylum. “Gotham” has introduced another important aspect of the “Batman Mythos”. 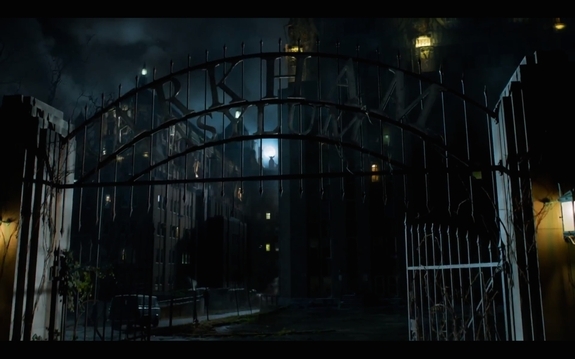 Arkham is the pseudo-Gothic, dark, scary place where Gothamites put their rejects, to keep out of sight and out of mind. So how does “Gotham” re-imagine this iconic site? The answer is simple…it doesn’t, but this isn’t a criticism. Arkham Asylum is so ingrained in the minds of fans that changing the formula would be a mistake. Here, the lack of originality is actually a success. I understand that the show-runners want to foreshadow the partnership of Batman and the future Commissioner, however their current relationship seems to be forced. Gordon has made the death of Bruce’s parents his personal crusade. In doing this, his motivation for saving the city becomes completely centered around Bruce (a boy he barely knows), rather than trying to save Gotham because it is the right thing to do. Furthermore, while I appreciate that Gordon is a “mentor figure” to Bruce, he does privy a great deal of sensitive police information to a child. This creates a jarring contrast between the realism of the show and the idealized relationship of Gordon and Bruce. With time, I feel the relationship will become more natural, but for the moment it remains awkward. This episode was better, but it was still lacking. I feel that “Gotham” needs to start developing some of its other characters. The plot lines are centered around Gordon, Fish and Penguin while ignoring cameo characters such as Nygma, Alfred and Falcone. In short, I am tiring of the same three perspectives each episode. It is time for something fresh, a palate cleanser if you will, so that viewers are not bogged down in cyclical episodes. Hopefully, next week will do something different.